Our spacious shared rooms are available in variants with 4 beds, 5/6 beds, 7/8 beds and 10 beds. In these room categories you can also reserve individual beds of course, and girls can make use of the “Women’s 5/6-bed room” category. 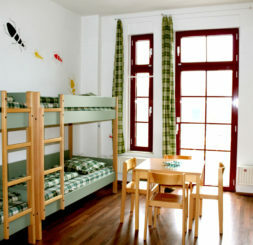 The rooms are primarily equipped with bunk beds. 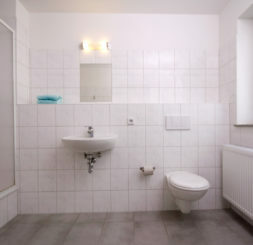 Each bed is accompanied by a lockable cupboard, please bring a padlock with you for this (or borrow one from us free of charge).Towels can be obtained from reception for EUR 0.50/1.00 where required. Our “all you can eat” breakfast is available for EUR 5,00/person.